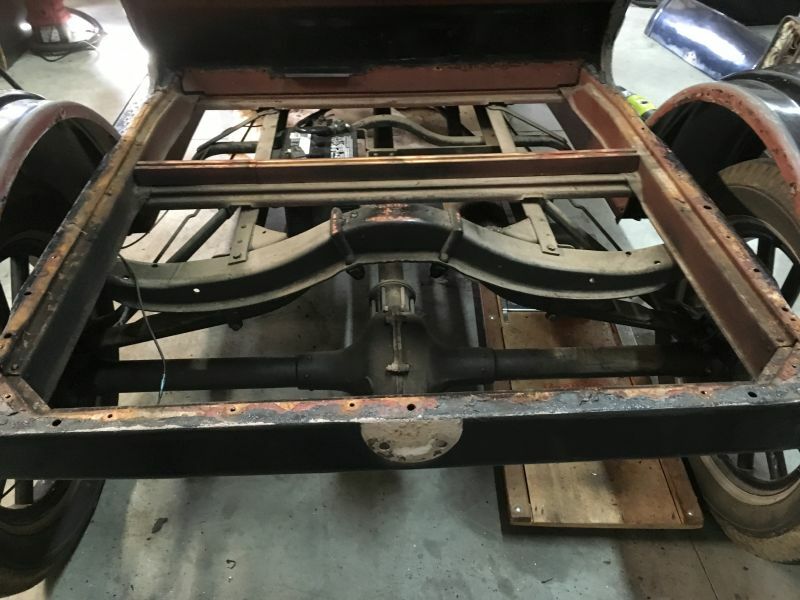 On the 1926-27 Roadster Turtledeck platform, did the metal floor have any supports besides the perimeter and the frame cross member? This is what mine looked like with floor removed. I don't know if this is original. Mine did not as well. We added a wooden piece to support the truck floor similar to what is shown on Brett's photo. The wooden piece in the photo is there only to support the body on the dolly. There was no indication that there was such a support originally. In the pictures above all the smaller holes in the channel sub frame is where the original metal floor was riveted to the sub frame. 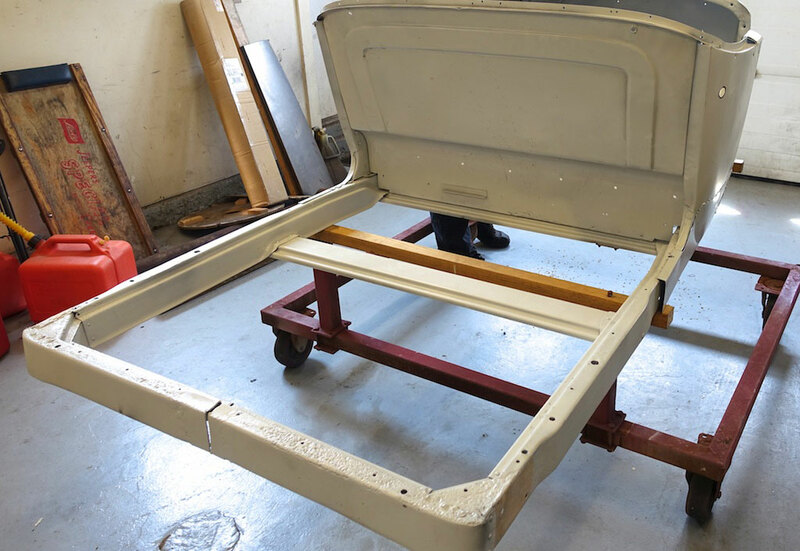 I don't have a picture of it but there was a metal floor under the bed in a 1926 roadster pickup I once owned, it may of at one time had a turtle deck in place of the bed. There were no extra cross supports under the floor and it was some what pushed down from use, that is why I think it at one time had deck before the pickup bed.